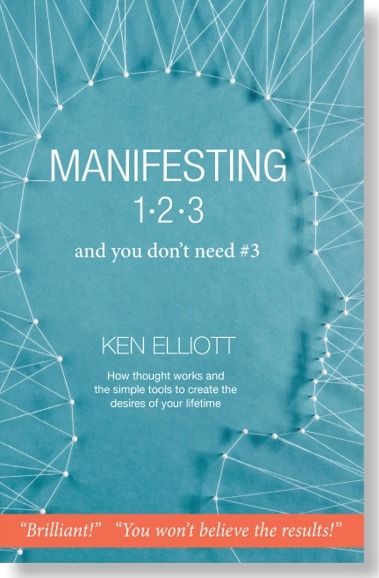 This is a newsletter about Manifesting, but it is really about asking in any form. When we repetitively think of things, our thoughts begin to actually begin to build what we think, those ‘good’ or ‘bad’ thoughts. When we ask or pray, there are often results as well. It’s my feeling that there are always results, but we may be unable or unaware enough to see them. In this story from T., he was clearly shown that his prayers were heard. We are not alone in our lives, prayers are heard, and through manifesting, we are fully empowered to create unlimited things. Thank you, T., for your deeply personal story. At this time I am 25 years old, working in Ethiopia for an American extreme sports company, doing music for a skateboard competition there. A native Ethiopian connected to Tony Hawk and other skateboarders had persuaded them to come to his country to bring love and other positive influences via skateboarding. I felt really comfortable in Africa because I had been there before as a missionary with the Masi tribes, we had a great affection for each other. I had some time off from music production so I hiked up to the top of a nearby mountain. On the way down I developed heatstroke. I didn’t have any water but I finally got to the bottom and stumbled into a restaurant to get a meal and a drink. There was something very wrong with what I ate or drank and I instantly began to feel very sick. Fortunately, my working assignment was over and I headed back to Naples, Florida. Once there, I moved into a house that was recently set up as a home for addiction and outreach. It also had a second purpose, to help sport competitors stay clean and pass their drug tests. I did need any addiction help, but but my friends there offered me a temporary place to stay inexpensively. It is a remarkable organization that is now in 12 countries including North Korea and China. Two months later, I’m still not doing well. Things are getting worse and I now I have a brain fog and a lot of vomiting. I’m getting weaker, particularly in my legs. Four months on, I’m out trying to get jobs but I have so much fatigue I can’t do normal work. Finally, I became an Uber driver. I can’t stand and my legs are continuing to get worse. They are numb while I’m driving and I have to use my hands to make my legs move to drive the car. Can you imagine? Somehow I was getting by. Things really got worse when I was not able to move at all for three days. For a year I went to a number of MDs, chiropractors, doctors and naturopaths. There were no answers, period and the medicines prescribed to me were not working. Sometimes I could walk a bit and other times it was impossible. Then I got this call from a buddy of mine. Turns out he was a local drug lord, no kidding, and he started to supply me with a medicine that began to work for me. I began to function again I was actually feeling pretty good. I started to hang out with him a lot more and eventually found myself with him in Los Angeles. Are you ready for this? He and his friends have talked me into becoming a drug dealer. We have a plan where I’m going to deliver some drugs out of state. Wow, I had no idea how far I had fallen from being the missionary in Africa. I was now a substance abuser and didn’t know it. The drug dealers had given me a special ring, an identifier to other members and I had given over my authority to it. The voice of God said,”Throw it into the fire.” I obeyed and I didn’t follow through on the plan to traffic the drugs. The next day I got a phone call telling me my grandfather had died, so I traveled to Nebraska for the funeral. My grandpa was a pastor, as was practically everyone else in my family. It was quite the mix there. I was with my solidly religious family and some old friends, including a few that were attached to the same Los Angeles drug crew. After the funeral, I headed to Florida because in one of my previous messages, God had also told me that my future wife was there. In those messages I clearly heard God’s voice audibly, not as an internal, or Intuitive voice. Once I got to Fort Myers my health crashed and I immediately I headed for a hospital. I was stumbling to get in the car and again, I had to push my legs to operate the pedals.I prayed to God for enough strength to get me there. I did a lot of asking and praying in my past but had drifted away from that kind of thinking. Now I was asking again and I needed to be heard and helped. The hospital staff immediately began to care for me and gave me fluids. I am hyperglycemic add it created immediate problems including severe convulsions. My cousin came in at the moment I was blacking out. I told him I am dying. When I closed my eyes, I saw heaven. I was floating and there was a beautiful light with clouds all around. I was in an overwhelmingly loving, peaceful place and I said to myself,”I’m ready.” Once again I heard God’s voice and he said,”No, go back and love.” The word love kept repeating and the word actually seemed to have a form that was appearing very close to my face. When I came to and opened my eyes, I had no more convulsions. The doctors came into my room and said I needed an immediate surgery. I told them seven times no and began cussing them out. I was on my back, laying on the stretcher and putting up quite a fight, yelling and shaking my fist at them. They took me to neurology where I went through a series of exams including two MRIs and a CAT scan. They were working the problem, but at that point they didn’t have any answers. Back in my hospital room, I was watching television and saw this evangelist saying that God heals. I switched off the television and bounced around watching YouTube videos on my phone. I saw another evangelist on a video and he also talked about God’s healing. It hurt my heart. I was in a heckuva place and desperately asking for His help. It was now 1 AM and I was pretty tired, so I turned off my phone and I immediately heard God’s voice again. This time it was louder and He said,”At 2 AM you will black out. At 4 AM a.m. you will walk.” That’s is exactly what happened! I spent the rest of that morning dancing and praising God. I was ecstatic having just experienced a real miracle. I was filled with joy and I prayed for every person in the hospital room until the doctors came at 6AM and allowed me to leave the hospital. I was completely healed and had a joyful heart that continues to this day. I had other symptoms previously and they all began to clear up in the weeks forward. Along with my miracle, the doctors were a big help. The chronic brain fog, double vision and glaring bright lights were now gone. Once I knew I was cured and stabilized, I felt comfortable enough to ask for a wife and to have a child with her. So where am I now? Time has passed and I did find my wonderful wife in Florida, We married in October 2017 and 10 months later, our beautiful baby joined us. This week we are looking at a home to move into. It has been quite the journey. A couple of things I want to say here, and one is that not all substance abusers are bad. They are like the rest of us, in that they want to feel better and to be normal. The other thing is to never forget that all things are possible. I am much aware of the power of thought and prayer and what they can do. I’m the poster child of that! I am the happy example of what can happen when you just ask. Wow again! This story is so powerful. I sometimes forget about prayer. Thank you and to your guest writer for sharing!